If you are looking for a Christmas gift for children 3 and over then we have just the thing. Award-winning Strictly Briks are a welcoming gift for children and are a great way to get them motivated to design, invent, and create. They have several building kits available just in time for the Holiday season! 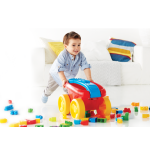 Strictly Briks are compatible with all major brands of large bricks, including LEGO, DUPLO and Mega Bloks brand sets. Now is the perfect time to incorporate Strictly Briks into your children’s play routine! The 10′ brick tower is a good place to start if you are new to Strictly Briks like we were. The set comes in 4 pack and 6 pack. We own the 4 pack in pastel colors. The set contains 40 stackers. Each baseplate can be stacked vertically using the included stackers. You can also use bricks that you already own to stack up the plates and make a tower, office or parking garage. The stacks take a lot of force to put together and younger kids may have some difficulty. I also found that when building a tower that it was not very sturdy and easy came apart if too much weight was applied during play. 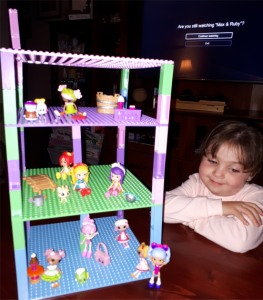 That being said it took my daughter and I a little over 5 minutes to put a tower together for her Shopkins and that was with a few technical difficulties. We also built a parking garage. We find the brick tower to be a fun way add magic to Miss P’s dramatic play scenarios. Recommended for children five to 12 “The Cube & Pyramid Strictly Briks” allows your kids to build in all directions without limitations by creating 3 dimensional scenes! The Cube includes six hinged double sides plates that connect to allow you to design all sorts of creations! Each plate has one side for standard briks and the other side for large briks. 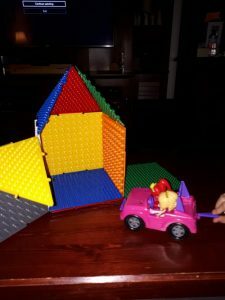 Though recommended for children age 5 and up the cube and pyramid wasn’t easy for Miss P who is on the lower end of the age spectrum to put together on her own. She required lots of assistance from mom and dad. 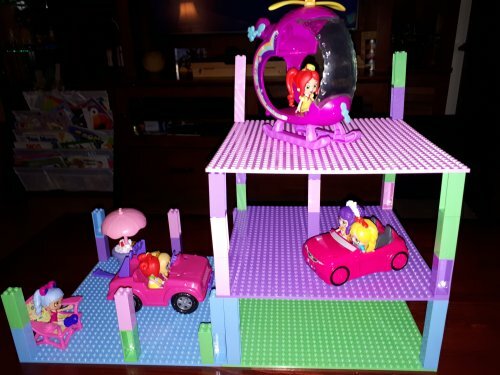 We chose to build a small car garage, but with add on packages from Strictly Briks one could really allow their creativity soar. Open-ended building possibilities are endless with Strictly Briks. 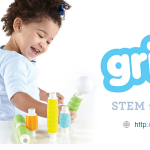 This alone makes it a great gift for parents interested in STEM skill development toys. 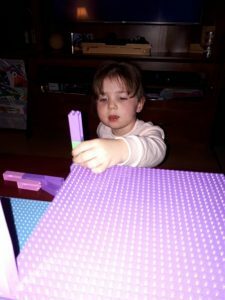 With the Cube and Pyramid set, my daughter and I were able to experiment with different designs and learn why some designs work and others didn’t. Everything that comes from Strictly Briks is made to allow your children to be as creative as possible while continuously learning when building. If you are looking for a unique gift for a child this holiday season then Strictly Briks is it. There are so many sets available to purchase, that Strictly Briks will allow advanced builders to take their skills to the next level. The building sets really grow with your child. Younger kids can start out with simple designs, and move on to more complex ones as they grow. Use Silicone Straps to create swings, slides, mosaics, and finishing touches to your child’s creation! Strictly Briks are available online at strictlybriks.com and Amazon.com. 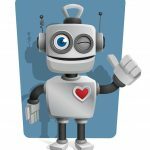 They also sell on Amazon international marketplaces in Canada, Mexico, the United Kingdom, Germany, France, Spain, and Italy. Creativity has its base® with award-winning Strictly Briks, a hit since 2015. 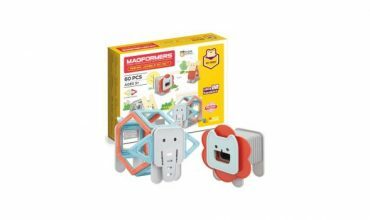 With a mission to provide an affordable platform and structure for kids to build, every product encourages combining with toys already available from action figures and cars to stuffed animals. This is play in a new way. Kids’ creativity shines by building upon stackable baseplates that grows to whatever one imagines at the moment. At the same time youngsters amass STEM knowledge from engineering to architecture as they play! Follow them on social media channels Facebook, Pinterest, Instagram, YouTube and Twitter. To browse or order directly, visit their website at strictlybriks.com. Thank you President Lisa Orman of KidStuff Public Relations for introducing us to Strictly Briks. Strictly Briks are also available to purchase on both Amazon.ca & Amazon.com. 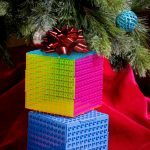 We have partnered with Strictly Briks and are giving away one package of 8″ Multi-Color Circle Stackables. These twelve baseplates are 26 pegs in diameter and include 100 curved 2×2 Stackers™. i do think construction toys are educational. Yes, they are educational and I use them in my homeschooling with my daughter all the time. Yes , they get them thing about structure and balance. absolutely, as an early childhood educator, the building materials are key. I definitely think construction toys are educational. Building and creating helps brain development. Of course! 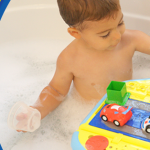 Constructional toys encourage imagination & planning & are awesome for fine motor skills. I do consider them educational. I do consider construction toys educational. Construction toys are very educational. They teach kids about how to build and they encourage imagination. Yes, of course, they build motor skills, creative skills and visuoconstructive skills! Yes I absolutely consider construction toys educational! Definnately I do as it makes them think of different ways of laying them out and how they can become stable as to not fall. Yes, I do consider them educational! Construction toys are educational in my opinion. My kid gets really creative playing with them. I absolutely think that construction toys are educational. They teach about physics and geometry and design and other STEM components. Absolutely, they are creative and uses the imagination with spacial judgement, and more. I consider construction toys educational. I do they’re educational and I love them for the creativity aspect. My kids love these kinds of toys. I do consider construction toys as educational and they force children to use their imaginations. Great alternative to video games and not as dangerous to step on as Legos. I do believe construction toys are very educational as they encourage young minds to be imaginative in building things. They teach them that there are different colors to work with and they help with dexterity and motor skills.They are very valuable as educational toys to #stemlearning. Yes, I do consider construction toys educational. They help build hand-eye coordination and fine motor skills for young children. Yes I consider construction toys educational! 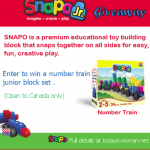 Construction toys are educational because it teaches kids patterns which helps them with math in the long run. It also exercises analytical thinking on how the structure is kept in place especially when stacking them. Yes I do because they encourage creative thought, use of motor skills and imagination. 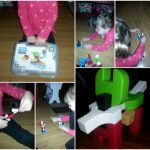 Love building block sets! I think construction toys are educational because they learn about building structure and it works on hand eye coordination too! I absolutely think construction toys are educational. They are great for fine motor skills too. Yes, I do consider them to be very educational! I love toys that foster open-ended play. Yes I do consider them to be educational!! I consider construction toys very educational as it engages the imagination. Yes I do. They encourage imagination, motor skills and creativity. I think construction toys are one of the most educational! Helps a ton with motor skills etc! We’ve always kept assorted varieties of building toys.. no thing like selection to build imagination! 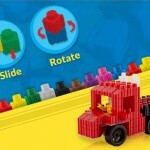 construction toys are absolutely educational!